The xDrive28i is our choice in the X1 lineup--with the packages that add a rearview camera and take full advantage of Bluetooth calling and audio connectivity (and apps). The 2014 BMW X1 has plenty of style and enthusiasm, although it's a little short on some of the versatility and utility you might expect. Even though it's only been in the lineup for two years, the BMW X1 fits in well with BMW's current lineup of crossover vehicles. The smallest of the lot, the X1 is sized ideally for urban dwellers that want a higher seating position and all-weather traction to go with the prestigious badge, but don't need the off-road pretensions and don't mind the sticky sticker price. 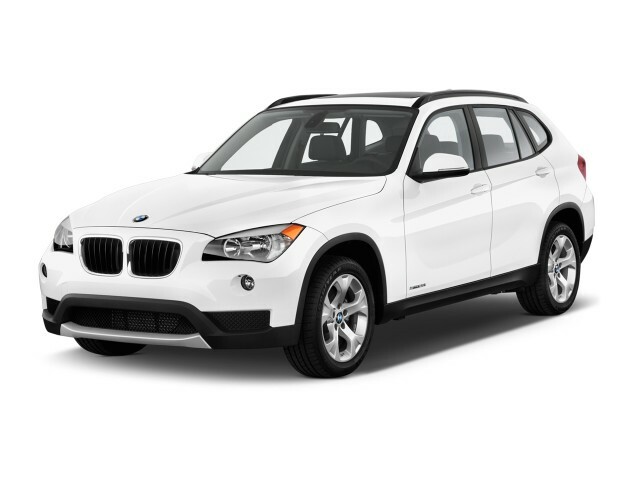 The 2014 BMW X1 appeals to rugged instincts, or perhaps more appropriately, adds confidence to those with snowy driveways. It has a tall ride height, decent amount of ground clearance, and a "go get 'em" look, yet with its shorter wheelbase and small back seat, it's a full step smaller than the X3 crossover, which should still be your choice if you're planning to have adults ride in the back seat. The X1 resides somewhere the fading hatchback world and the booming crossover business--and at first glance you might think of a 3-Series wagon, mashed a little shorter and lifted a few inches in height. It has BMW's corporate look for crossovers down pat, yet it's not all that convincing that this isn't a car; there's little in the way of design cues to suggest the the X1 can handle any more than a steep drive-thru. The X1 sports softer curves, except in the tall glass and high nose, which is accented by lipped wheel arches. The controls are right where existing BMW drivers expect them and a 3-Series driver will feel right at home behind the wheel. For the rest of us, the very anatomical look is good, but the smattering of dissimilar controls isn't. Unless you need a vehicle that's almost quick enough to deserve the M badge, you'll be perfectly happy with either of the four-cylinder X1 models. It's rare to classify any crossover as eager, but that's exactly what we'd call the X1. All-wheel-drive X1 xDrive28i and rear-wheel-drive sDrive28i models move plenty quick with BMW's natty 2.0-liter turbo four under the hood. The engine makes 240 hp and it's mated to an 8-speed automatic as standard. The sDrive28i instead gets electric power steering, while the xDrive models we've been in have excellent, well-weighted hydraulic power steering, as well as excellent vehicle dynamics. A potent turbo-6 can be found underhood the X1 xDrive35is that makes 300 hp and scoots this sled to 60 mph in about 5.3 seconds, but drops the EPA combined figure to 21 mpg. The driving position is one of the lower and more carlike among these kinds of vehicles. Front-seat accommodations are fine for even tall adults; although a tight center console limits the storage bin, and only permits one front-seat cupholder on the console; instead of folding out, a second one hangs aside to knock passengers' knees. In back, the X1 is missing only a little legroom compared to the X3, but you're not going to fit three adults across. Cargo space is what's missing compared to its larger sibling; but those back seats recline and fold nearly flat. Refinement is one step down than the X3; there's a little more engine exhaust resonance than we'd like, a little road noise as well, and more body roll than you'll find in other vehicles with the sport package, but the X1 handles really well, even over terrible pavement surfaces. The 2014 BMW X1 is respectable for safety, but its roster of safety options is nowhere near as impressive as that of BMW's larger vehicles. The Insurance Institute for Highway Safety (IIHS) has given the X1 top 'good' tests for frontal, side, and rear impact, as well as a 'good' score for roof strength—albeit with a potentially worrisome 'marginal' score in the new, more rigorous small overlap frontal test. The X1 is also missing a standard rearview camera. The X1 comes standard with power windows, doors, and locks; automatic climate control; a USB power plug; and an HD radio. Opitions include satellite radio, a cold-weather bundle, premium Hardon Kardon audio, panoramic glass roof, and mobile app suite. Just watch out, as a well-optioned X1 can easily total more than $40,000. Among just a few minor option changes, the Powder Ride Edition from this past year doesn't carry over to 2014. The X1 has the cues of a hatchback, more than those of a wagon or utility vehicle—but a little longer would be better. In the world of utility-vehicle styling, it seems that there are two schools of thought: You either go softer, more carlike, and understated (crossovers), or you go the assertive, aggressive, rugged route. The 2014 BMW X1 clearly congresses with the crossovers. The X1 is a tall wagon, with the barest minimum of references to the SUV world. 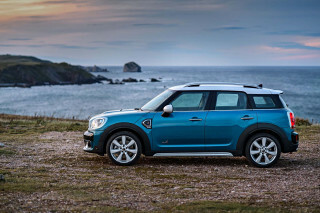 There's a bulge at the grille, some roof rails, and a little more ground clearance than you'd get in a sport wagon. The sides are curved and glassy, with its only straight edge at its sills. Altogether, that extra height forces some visual tricks, yet through skillful management of proportions the X1 ends up looking much like a hatchback from most angles, despite large glass areas, a stubby rear end, and a high nose. From a few feet away, the X1 interior looks suave and composed. If you've seen other recent BMW interiors--especially in the brand's smaller models--you'll find this one familiar; there's a muscular bulge swelling at the middle of the dash, effectively dividing the driver zone from the passenger zone. Contrasting trim and upholstery do help here, but some of the best-looking picks come at a premium. BMW lets X1 buyers upgrade to xLine and Sport Line trim packages. The former is more rugged, with matte-metallic trim for the front and rear, as well as some interior leather and trim, plus satin roof rails and glossy Dark Copper trim. The Sport Line blacks out those exterior trim pieces and wears unique alloy wheels, and gets red and aluminum trim inside. An M Sport Line pushes that further, with an Anthracite headliner, Shadowline exterior trim, high-gloss roof rails, dark-crosshatch aluminum trim, and a special leather steering wheel and shift knob. Step right into the X1 from another vehicle, and you might need a tutorial. In the most complex of cases, there's an iDrive controller, pushbutton start, steering-wheel audio and phone controls, and dual climate controls--all black in finish, all competing for attention against a black-gloss background. The gutsy turbo four makes the 2014 BMW X1 feel eager, but the available six in the 35i makes the most of the tenacious grip and surprisingly tidy body control. 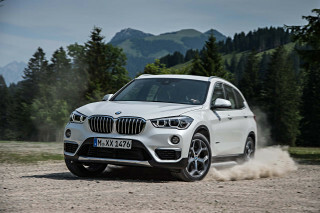 With four-cylinder xDrive28i versions of the 2014 BMW X1, you have a choice of rear-wheel drive (sDrive28i) or all-wheel-drive (xDrive28i). But if you crave excess, there's a turbocharged in-line six and included AWD in the X1 xDrive35i. Altogether, that drivetrain's expected to generate 0-60 mph times of 5.3 seconds, and a top speed of 130 mph; but the xDrive28i is surprisingly quick, too, and can do the 60-mph dash in as little as 6.2 seconds. .
With the four, the X1 feels perky and plenty strong, with 240 horsepower at 5000 rpm and peak torque of 260 pound-feet at 1250 rpm through 4800 rpm. 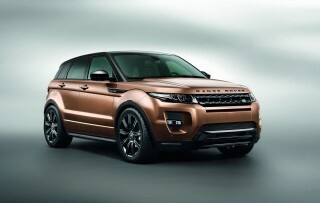 It's coupled only with an eight-speed automatic transmission with paddle shift controls and stop/start. A little perspective could help here: Just this base X1 is as fast to 60 mph as the first E30 M3. The xDrive all-wheel drive system works with stability control to split torque front to rear (variable to 20:80, with an available Performance Control option); it requires the X1 to retain BMW's former hydraulic steering unit--while the rear-drive sDrive28i can be packaged with a more efficient electric power steering system, hence the gas-mileage differences. While we haven't driven a rear-wheel-drive X1 and thus can't comment on its electric power steering, the hydraulic systems in the xDrive versions are excellent. It's not particularly quick, but it's a pleasure to wind and unwind. If there's one standout impression of the X1's performance, it's of fluidity at speed--not something that crossovers typically excel at. Our test X1 xDrive28i came equipped with a Sport package including 18-inch wheels and tires, Servotronic variable-ratio steering, but without the M Sport Package and Performance Control. The package hasn't been as well-reviewed as we'd expected, with understeer a big complaint--as much at issue as the base X1's electric power steering. And the brakes pour out more pedal feel than the entire lineups of some automakers from half a world away. Expect BMW dynamic excellence here; you'll find very little body roll or dynamic misbehavior, and the X1 doesn't feel flustered being driven like a sport sedan, or by brittle, broken Michigan byroads. Skip the M Sport package and it's capable of soaking up all kinds of small imperfections without skittering over them in unimpressive ways. Off paved roads, the X1 is surprisingly deft--more so, at least, than you might expect given its off-road performance. While it doesn't have the sort of wheel articulation you need for rutted trails, it has enough toughness and ground clearance for gravel roads or snowy driveways. On the compact side of crossovers, the BMW X1 makes more of a sacrifice in cargo than it does in back-seat space. 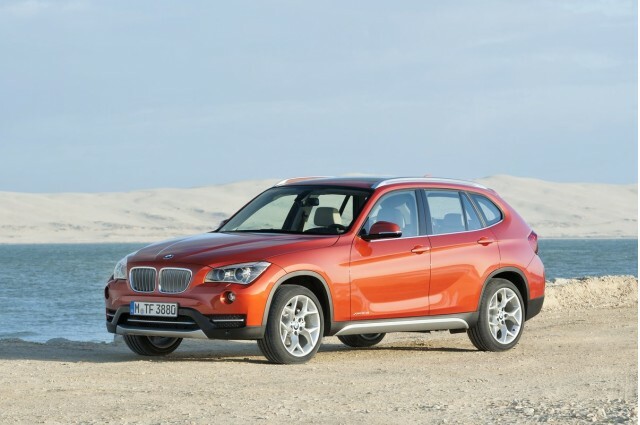 Is the 2014 BMW X1 big enough for what you have in mind? It depends on the need. While we think that the X1 is a good, upscale replacement for a hatchback or small car, it's a poor match for families who are downsizing from larger crossovers--even BMW's own X3. The X1 is sized more like the subcompact crossovers available today than the compacts that are familiar to more buyers. By rough comparison, it's more Escape, Countryman, and Evoque, than X3, GLK or Q5, with a suitably tall roofline that also makes it something of a last-generation BMW 3-Series wagon. Inside, that comparison makes sense, because the X1's interior space measures up for most adults. Headroom is never really in question, and neither is elbow room. The center console isn't so wide that it claims too much space, but it does make solid contact with front-passenger legs on a regular basis. It's from the center console back where you start noticing the X1's shorter cabin. Some difficult storage choices have obviously been made, as the USB port carves out a lump of its own from the bin that lies ahead of the shifter, leaving room for one cupholder behind the lever--which forces a second cupholder to hang precariously off the right side of the console. It's at times like these where you feel for a culture not raised on 64-ounce beverages--but front passengers who repeatedly bang their knees against the cupholder when getting in won't make these choices seem all that forgivable. Door pockets do help make up the difference for other items though. The back seat does its best to overcome the short wheelbase span. It reclines for long-distance comfort and flips forward for cargo flexibility. Even when four adults are seated, there's enough legroom, but clearly not enough space for three across. For children, that's no problem. Cargo is what's been compromised, clearly. With the fold-down options on the rear seatbacks, the cargo area is short and has less than 15 cubic feet with the rear seats up in place; although that expands to 47.7 cubic feet (preliminary specs). For perspective, that's far less cargo space than the Ford Escape, but more like a roomy hatchback.Two golf bags will fit in the space, however. With a rack of switches, knobs, and pushbuttons, each with their own haptics and intents, the instrument panel can appear a bit cluttered. The joystick shifter needs its own walk-through, too, unless you equate the "park" button with the "fire" button on a video game controller. The volume knob on the radio's small, and almost out of reach. Across either of these versions, you do hear the engines a fair amount--a coarse thrum with the four-cylinder engine, or more of a bellowing note with the six; in either case, it's not the sweet note that was produced by BMW's former naturally aspirated sixes. The BMW X1 is a solid entry and should protect well, but some features like Bluetooth and a rearview camera are options. The 2014 BMW X1 has a safety-feature set that's respectable, but nowhere near as impressive as BMW's larger vehicles. Active-safety extras are missing from the menu, and crash-test ratings are quite good, but with a noteworthy blemish. While the National Highway Traffic Safety Administration (NHTSA) hasn't rated the BMW X1—and likely won't—the Insurance Institute for Highway Safety (IIHS) has given the X1 top 'good' tests for frontal, side, and rear impact, as well as a 'good' score for roof strength. But it earned a potentially worrisome 'marginal' score in the new, more rigorous small overlap frontal test—a test that simulates a collision with a pole or tree. The X1 has the mandatory airbags and stability control, and also offers a rearview camera and Bluetooth as options. In this price class, we think those items should be standard, but the German automakers as a group lag behind their Korean and American competition in that respect. 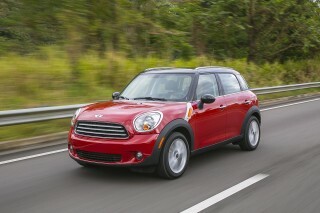 Visibility is good for the driver, even with the X1's relatively small rear hatch glass and tall headrests. Adaptive cruise control, blind-spot monitors, or lane-departure warning systems aren't available either. That's technology we think has some limited application for safety, too. At least a USB port is standard, but for the price it's surprising that not much else—even Bluetooth connectivity—is. The BMW X1 is entry-level crossover SUV, but its prices can quite easily be driven up to a price range that's hardly affordable--even among BMWs. Standard features are mostly good. Every X1 comes standard with power windows, locks, and heated mirrors; automatic climate control; LED taillights; AM/FM/HD radio with a CD player, a USB port and an auxiliary jack; a leather-wrapped steering wheel with multi-function controls; roof rails; and automatic headlights. The six-cylinder X1 adds on more features--standard power front seats, panoramic sunroof, variable-ratio power steering, adaptive headlights, and automatic high beams--which are available on the four-cylinder model as options. If you're used to more advanced voice-control systems, you'll find the one associated with iDrive to be a bit muddled. In sampling a few destinations, we were able to drill down to a certain level of navigation--say, to local parks--by voice, when we were directed to the iDrive controller for further action. Systems such as MyFord Touch or Cadillac CUE allow more voice control to select on-screen options, but we're unaware of a similar mode on this BMW. 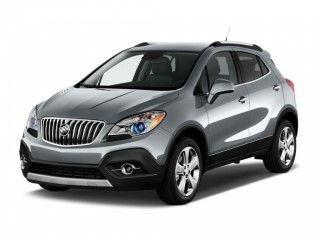 All models can be fitted with satellite radio, a chrome package, and a Harmon Kardon surround-sound system. Other option packages include a safety setup with parking sensors and a rearview camera; a technology package with Bluetooth and audio streaming, operator-driven BMW Assist, and navigation with voice commands and real-time traffic; BMW Apps, a Bluetooth connection that also enables Pandora, Facebook, Twitter, and other mobile Web services via smartphone; and a cold-weather package with a heated steering wheel and heated front seats. Enthusiasts should look long and hard at the M Sport package, which tightens up the X1's suspension and adds 18-inch wheels with staggered rear tires--or swaps out the package for 19-inch wheels. 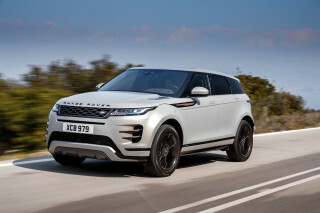 It includes sport seats and a sport steering wheel, a choice of interior trim, body add-ons, and on all-wheel-drive models, variable-torque-split xDrive. The four-cylinder 28i is the way to go, with its stop-start and more frugal tendencies; in the 35i, mileage drops precipitously when you give in to temptation. The 2014 BMW X1 has the profile and look of a crossover, but it's really no worse than most small, economical hatchbacks. Among the three versions of the X1 we get in the U.S., two of them get an EPA Combined rating above 25 mpg. Those two versions are the sDrive28i and xDrive28i models, which have the turbocharged four-cylinder engine. 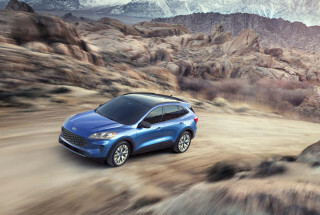 The rear-drive X1 gets 24 miles per gallon city, and 34 miles per gallon highway, the agency reports, with a combined rating of 28 mpg; with all-wheel drive, the turbo-four X1 is scored at 22/33 mpg and 26 mpg combined. The X1 powered by BMW's turbocharged in-line six-cylinder is considerably less frugal. 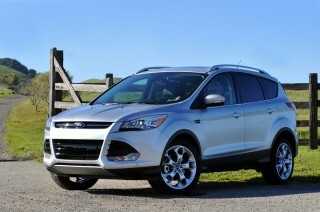 It's rated at 18 miles per gallon city, and 27 miles per gallon highway, for a combined rating of 21 mpg. It doesn't offer stop/start; its six-speed automatic isn't designed to handle the mechanical stresses induced by the system. Four-cylinder models come equipped with an ECO PRO function and stop/start. ECO PRO maps the X1's throttle and eight-speed automatic transmission shift points, as well as its climate-control settings, to help with small, discrete gains in fuel economy. Stop/start offers more measurable differences, and although the system can be unexpectedly jarring at times, it's smoother than the one we've observed in BMW's six-cylinder-powered cars. First off, the car looks nice, and the gas mileage is amazing, I just had a 328xi with M package.. So, I've been struggling to adjust to center of gravity and that its just not as fast or sporty. I really wish... First off, the car looks nice, and the gas mileage is amazing, I just had a 328xi with M package.. So, I've been struggling to adjust to center of gravity and that its just not as fast or sporty. I really wish I went with the upgraded sport seats, after 2 hours in traffic, my hips are really hurting. I do love all the technology, excellent back up camera and parking sensors, are perfect for parking in downtown. Overall, it's a nice little car, just wish it looked and drove more like the 2016x1. My recommendation would be to wait and grab yourself one of those. I've had my x1 for over a year. It drives and handles great and I love it's compact size. The cargo area could be a bit larger, but it is a compact. Flawless reliability. Looking for a different year of the BMW X1?